I think every artist dreams of being in a gallery show in New York City. It’s a total stereotype, and one that I am not ashamed to say that I too have carried around for years. One I have carried around without much hope of realization or much action on my part to make it happen. I just kept working, following my imagination and thinking maybe someday. 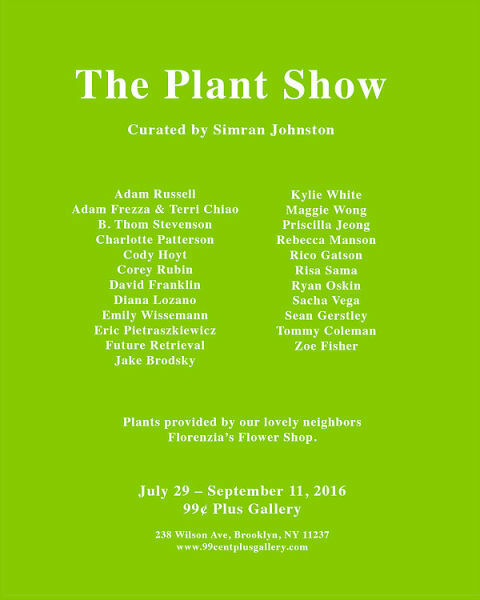 One day, late last Spring it happened, and I got invited to be in The Plant Show at the 99¢ Plus Gallery in Bushwick, Brooklyn. 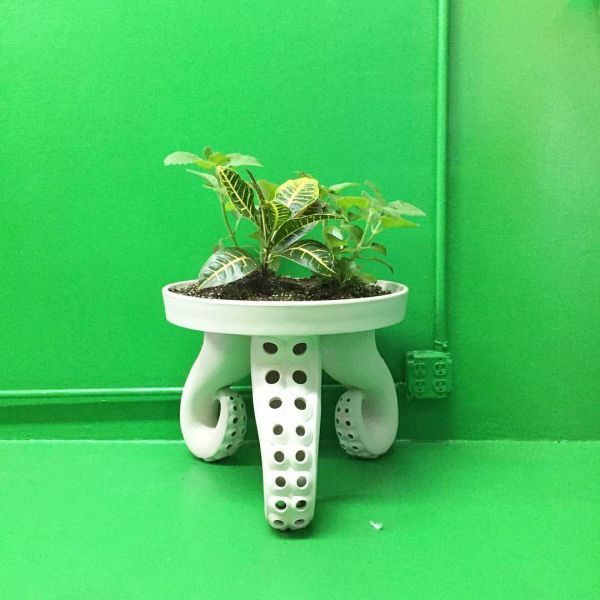 With gallery walls all painted green, and an intriguing cast of characters assembled, what Simran designed in the 99¢ Plus Gallery grew beyond what could have been imagined, and became a media sensation. Congratulations Simi, and thank you for including me in such an awesome group and making dreams come true. Made from a Kohler sink, known by the workers there as a “Dog Dish,” with tentacle legs joined and fired into one piece. The table has a glass top with a glazed white canoe bowl on top. Made at the Kohler Factory in Wisconsin as part of an Arts/Industry Residency. 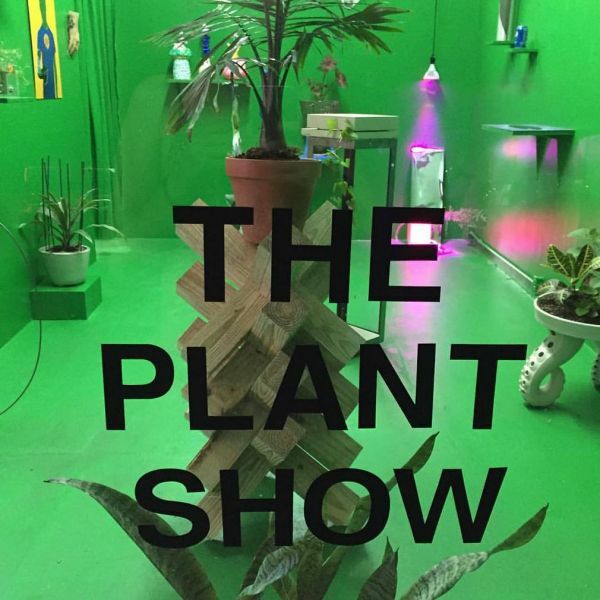 Please go on Instagram and check out #theplantshow to see all the great work, and for the entire surreal experience. This Tentacle installation has an interesting setting. It sits on a mantle I carved from fir in 2004 along with the panels on either side. The theme of the carvings were wind and water, with creatures from the water and the Moon on the right panel and creatures of the air and the Sun on the left panel. The mantle has wind and waves flowing out to their respective sides. The Tentacles are a new contrasting sculptural element. 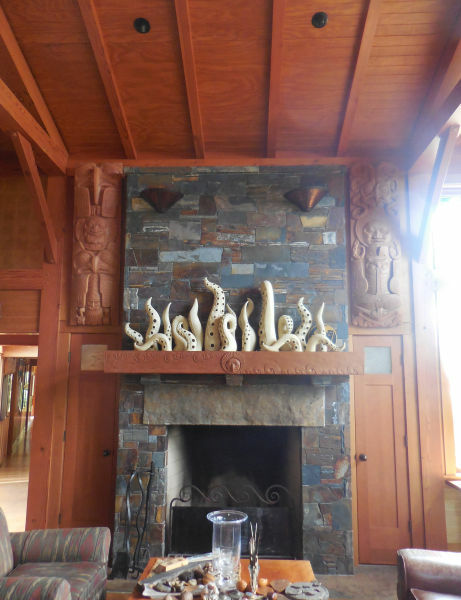 They relate as a theme around the home and also to the carved Octopus on the top of the panel on the right. It is really amazing to work with such kind people who continue to appreciate your art as it evolves, and to see it all working together for a new effect. 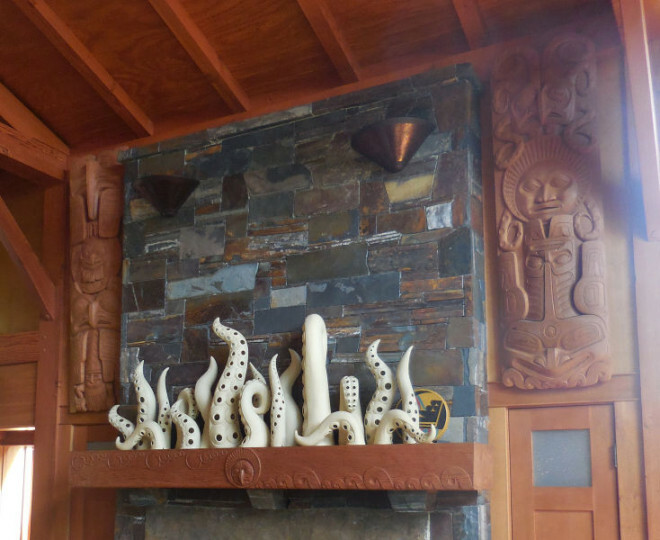 Tentacles Installation, mantle and panels carved in 2004. Just for fun, David Franklin World Headquarters presents: The Tentacles of Destruction 1-5. These low quality videos started as something fun to do with failed greenware, (unfired) tentacles, and evolved into slightly better quality, and more methods of destruction. These tentacles would have otherwise ended up in the garbage can, this way they at least go out in a way that will be remembered. I hope you enjoy watching them as much as we did making them. They get better as the series goes on….enjoy!